Neither one of my parents know how to invest in the stock market, and it wasn’t a part of my formal education. I had to learn everything on my own, so I know how intimidating it is for people who are new to investing. Where do I start? What do I invest in? How am I doing? There are just so many questions. In this article, I am going to try to make it as easy as possible for someone brand new to investing to get started. 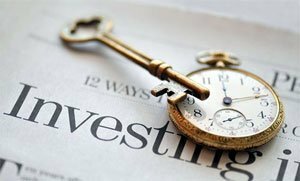 Investing is unlike putting money into a high yield savings account or a certificate of deposit, there are many risks involved. So you need money that you can afford to lose. This means if you owe any money — i.e., credit card debt, student loan, car loan, etc. — you need to pay these off first. The only exception to this rule is your mortgage. a full service brokerage firm. Out of the three, I recommend using a discount brokerage firm. Banks and full service firms generally charge too much and push products that are not always the best for you (because they are motivated by commissions and fees). I am currently using TD Ameritrade and TradeKing ($4.95 per trade — here’s an excellent TradeKing Discount Broker Review). But you could use any other discount brokerage firms, such as Scottrade and Charles Schwab (I’ve used them in the past). Moreover, here are some tips on choosing an online brokerage account. You will also have to decide if you want to start a normal taxable account or a tax-advantaged account. Taxable Account — You can liquidate your investment and get your money back at any time, but you have to pay taxes on capital gains yearly. Tax-Advantaged Account — Investment accounts like 401k, Traditional IRA, and Roth IRA where you can’t touch your money until you reach a certain age. The advantages of 401k and Traditional IRA include tax deduction on the amount you contributed and your investment grows tax free until you start to withdraw the money. For Roth IRA, there is no tax deduction, but your investment grows tax free and the withdrawal is also tax free. On the other hand, there are limits to how much you can contribute each year to your tax-advantaged accounts and there is also a 10% early withdrawal penalty if you withdraw money before the full retirement age. Which one you choose will depend largely on your personal situation. Stocks — Each share represents a part ownership in a company. For example, if you buy 100 shares of AAPL, you’ll own a tiny part of Apple Inc. When you purchase shares, you have to pay the brokerage firm trade commissions (somewhere around $3 to $30 for discount brokerage firms). Usually, you’ll have to pay more if you purchase through a bank or a full-service brokerage firm. Mutual Funds — Each mutual fund is a collection of many stocks. Throughout the year, the fund manager can buy and sell stocks inside the fund on your behalf. In essence, you buy the underlying stocks and pay for the fund manager’s services. When you buy shares of a mutual fund, you could potentially pay up to 4 kinds of fee: (1) Trade commission, (2) Front-end load, (3) Back-end load (or redemption fee), and (4) Expense ratio. The funds that you should stick to are low expense ratio, no load, and no transaction fee mutual funds — meaning you are not paying anything but the expense ratio. ETFs — I believe this is by far the best investment vehicle. Similar to mutual funds, an ETF is a collection of many stocks; however, the stocks are more defined and they are rarely traded. Likewise, there is an expense ratio, but it’s generally lower than a similar mutual fund. But like stocks, you have to pay trade commission each time you buy and sell shares. The strategy that I believe is best for new investors is to build a globally diversified portfolio of low expense passively managed mutual funds and ETFs. For example, if you have $6,000, you could potentially split it up in $2,000 chunks and buy 3 funds/ETFs: Large US Stocks, Small US Stocks, and International Stocks. Or you can make it even simpler by investing the entire amount in a Vanguard Target Retirement Fund. The subject of asset allocation — i.e., how you should divide your money across multiple types of investment is fairly complex, and I will not be explaining it here. If you are interested, you can take a look at my Guide to Asset Allocation to get a better idea. How to find the right ETFs and Mutual Funds? Represent an asset class well — i.e., small-cap, large-cap, international, etc. How to buy ETFs (and Mutual Funds)? At this point, you can enter a buy order through the online system, or ask the representative, to buy X shares of IVV, Y shares of VB, and Z shares of VEU. If you want to invest $2,000 in each, you just divide $2,000 by the latest ask price to get the number of shares. Read as many books and web sites that you can to learn about investing for beginners. My caution is to avoid hot tips and hot stock picks. What you want to learn is how the market works, effects of taxes and expenses on investment performance, asset allocation, risk management, investing for specific goals, etc. If you have any question, please feel free to leave a comment and I will do the best I can to answer them. Please note that it’s also worthwhile to pay a fee-only financial advisor to help you through your first investing experience. Reviewed and updated April 12, 2011. @Amin – I’d advise against bank IRA — either go with a discount broker or Vanguard/Fidelity because you will have much better options and lower fees. If you’re brand new to investing, look into target retirement fund. If you are thinking about withdrawing within 5 years, you might want to invest part of your portfolio in income generating investments such as bonds or dividend stocks or funds. @Peter – Even if you can, it’s not a good idea to buy annuities inside your IRA because annuities are tax-deferred products. Most people who buy annuities either already maxed out their other tax-advantaged investment options or they are looking for guaranteed income for the rest of their lives. Can I purchase an annuity through my IRA without tax consequences other than the taxes I will have to pay as I collect the income. I was impressed to read your crisp & very direct analysis of the queries raised on investment situations. Ours is to: transfer rollover funds of three accounts: Where to? With Bank IRAs or discount brokerage firms like Vanguard? And, what sort of diversification-Mutual funds of what type/s or any mix portfolios. We are seeking a 5 years waiting period for effective usage/to draw funds. do you have any solution? Thanks. The funds can be abt.$2oo,000. I am much like you in that no one that I know invests in stocks or knows anything about them. For this reason, I am starting young on learning about how to invest. To start out with I thought I would try penny stocks to allow me to get used to the stock market without completely exposing myself and losing a lot of money. I can invest as little as $10 a month, and while I know I won’t gain too much, but I am learning a lot from my experiences. I am getting a lot of good tips from stock market newsletters as well. I especially like bullrally.com’s newsletters. Brilliant,thank you. This has been the most helpful read I have come across since I started my research 3 weeks ago.Hopefully,I can take it from here. TIP Guy, thank you for asking. I am actually in the process of writing a financial success plan and investing is step #5! This is a good guide for investing beginners. May be you could add your veiwpoints about how to manage debt. should investors start with focusing on reducing debt then start investing or do it simultaneously? Great synopsis for the beginning investor! What a brilliant article for beginner investots, there’s some great advice and information packed into here. Your explantion of stocks, mutual funds and ETF’s is excellent and I especially liked the advice at the start about money you can afford to lose, very responsible advice. @Jerry – Another good argument for frugality and constantly looking for alternative income streams. That point about investments being ‘money you can afford to lose’ leads to a big barrier for many Americans. The rapidly rising cost of living (gas, food, health insurance) puts discretionary income out of the question in many, many families. I currently have some stocks in a full service brokerage account. Is it typically possible to move them into a discount brokerage account? Or would I need to sell them from the full service account and then buy them again in the discount account (which would incur taxes from capital gains, as well as losses from comissions and the ask/bid spread)? If it is possible, are there typically any fees/comissions involved (from either the source brokerage or the destination brokerage)? I did a few google searches to try to find the answer, but had no luck. @Edward — I am not familiar with transfer. But looking at TD Ameritrade transfer form, it appears that you can transfer without liquidating, but there may be some fees involved. You should contact the discount brokerage firm you are interested in and ask them for specific information. They should be able to help you. @Trent — They are both good for different purpose. If you have a larger sum of money (you’ll have to do the calculation based on your situation) the commission will be minuscule compare to the investment. The lower expense ratios of ETFs will make them cheaper than similar mutual funds when you invested long-term. For example, assume an index fund charges 0.50% expense ratio and no trading fee. You’ll be paying $50 per year on expense fee on a $10,000 investment. Let’s say an equivalent ETF charges 0.25% expense ratio and $25 to execute the trade, you’ll be paying the same $50 the first year — but you’ll save the 0.25% each subsequent year after that. Make sense? For smaller sums and regular contributions, mutual funds are usually more cost-effective. @B Smith — Thank you. I think for the majority of investors, its better to stick with a good asset allocation plan, regular contributions, and passive funds (and/or ETFs). @Vered — Thank you. Good point about not timing the market. Great advice – thanks. I did buy a few stocks when I still was very new to investing. In my experience, as long as you’re not trying to time the market, and as long as you stick with companies that you know well and believe in, you should do OK. (For example, I bought stocks of Whole Foods (WFMI) a few years ago and am very happy that I did). If you’re buying ETFs, why not just directly buy index funds from Vanguard? That way, you avoid the brokerage fees. Pinyo-Great (re)post! Your advice is dead on. I especially like your advice to stay away from stocks until you really understand the market. You can make money on them, but need to know what you are doing. If you don’t you will lose big time. You also need time to follow your stocks. If you have less than 10 hours per week to dedicate to this, you need to avoid individual stocks. Even mutual fund investing takes time, but now you are watching the market as a whole and can get by with just a few hours a week.